Sayyid Hashim al-Haidari praises the people of Bahrain for their brave resistance against oppression and tyranny. 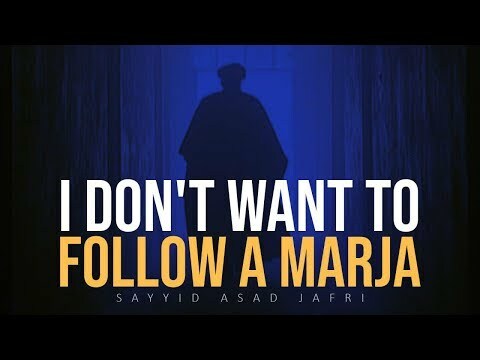 Khawarij of Today | Sayyid Asad Jafri An incredible clip highlighting the roots of ISIS/DAESH in the words of Sayyid Asad Jafri. Having the Wilayah of Imam Ali (A) in our hearts is not enough! It is not enough to simply say, \"I am Shia\" or \"I love Ali\". One must act on the path of Imam Ali (A) and get to a point where Imam Ali (A) says that he is my Shia! 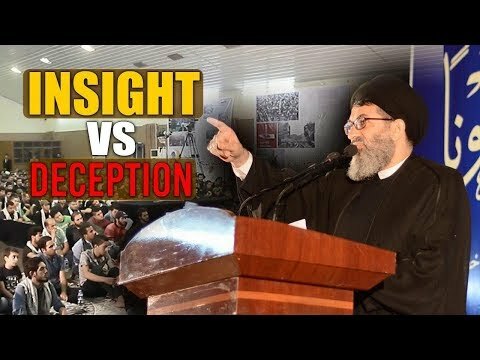 Insight VS Deception | Sayyid Hashim al-Haidari Have you ever paused to question why the members of Imam Ali\'s (A) army collapsed and became Khawarij? Or why the followers of Imam Husayn (A), abandoned him shortly before the battle of Karbala? Or why terrorist groups like ISIS, shout the name of Allah (SWT) seconds before detonating in a crowd of innocent people? How is it possible that a Muslim can worship Allah (SWT) one moment, and deviate the next? What do such people have in common? What do they lack? What stopped them from serving the Imams of their time? Is it that which is preventing us from hastening the reappearance of our Imam (AJTF)?! Sayyid Hashim Haidari reveals to us what this significant nature is, and the dangers of lacking it..
Islamic Republic | The Noble Government | Sayyid Hashim al-Haidari What made Imam Khomeini (R) stand out? What is the concept behind the formation of the Islamic Republic? What does a noble Islamic government bring about for Islam & the Muslim Ummah? Sayyid Hashim explains eloquently. 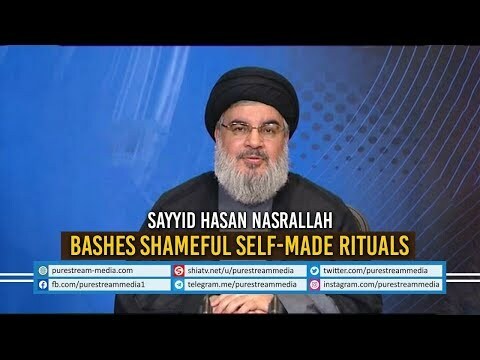 The Blood Money of Imad Mughniyya | Sayyid Hasan Nasrallah What was the blood money of Shaheed Ragheb Harb? What was the blood money of Shaheed Abbas Musawi? What will be the blood money of Shaheed Imad Mughniyya who was martyred on 12 February 2008? Sayyid Nasrallah speaks. Grand Ayatullah Sayyid Kamal al-Haydari answers a question asked by one of the callers on the show \\\"Theological Discussions\\\".The question is related to the topic discussing the Imamate of Ali(as).